Several real world examples from recent years support this – such as Jaeger, which went bankrupt this year part-way through a digital transformation project, Next which appears to be struggling to keep up, or even the BBC’s failed digital project which cost more than £100m, with few results. . The study was commissioned by engagement database firm Couchbase, and canvassed 450 heads of digital transformation across the US, UK, France and Germany, in an attempt to understand the pressures of digital transformation. In the survey, 80 percent are at risk of being left behind by digital transformation while 54 percent believe organizations that don’t keep up with digital transformation will go out of business or be absorbed by a competitor within four years. And IT leaders are also at risk, with 73 percent believing they could be fired as the result of a poorly implemented or failing digital project. Legacy databases cannot keep pace with customers’ increasing demand for real-time services and content, and the growth of technology such as virtual and augmented reality or the Internet of Things. 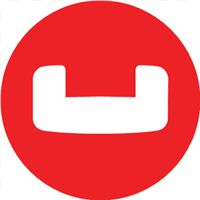 The Engagement Database, part of the open source Couchbase Data Platform, is a new category of database that enables enterprises to continually create and reinvent the customer experience. Unlike traditional databases, the Engagement Database taps into dynamic data to liberate its full potential at a time when the strategic use of data to create exceptional customer experiences has become a key competitive differentiator for businesses.